What happened to the “moral imperative” to avoid fossil infrastructure? The Murphy DEP just issued approval of an exemption under DEP’s Highlands rules for a proposed new 700 megawatt fossil fueled natural gas power plant in Holland Township along the Musconetcong River in the Highlands Preservation Area (read the news coverage). In issuing the exemption the DEP did not issue all final DEP permits and approvals. The DEP found the project “inconsistent” with the *Upper Delaware Water Quality Management Plan (WQMP). 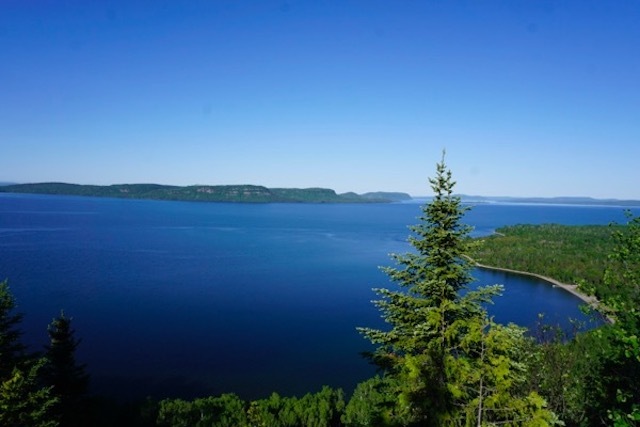 But that WQMP can be amended to incorporate the project and simultaneously the project can seek other DEP permits while the WQMP amendment process is underway. Instead of playing regulatory games, DEP had the chance interpret the exemption rules to deny the exemption request and send a clear message that a horrible fossil fueled project in the Highlands Preservation Area that threatens a premier trout river is just not acceptable. They failed to do that. The DEP’s “Highlands Applicability Determination” found that the project was exempt from the DEP’s strict Highlands regulations because it was “reconstruction” of an existing building and met the standards on new impervious surface. But the demolition of a building and construction of a new power plant is not “reconstruction” of an existing building. It is demolition. It is knock down and rebuild. The DEP should have distinguished “demolition” and “new construction” from “reconstruction”. By failing to do so and instead issuing a green light, the Murphy DEP set a terrible precedent which invites abuse. It will open the door for this project to abuse other loopholes in DEP permit rules and invite many other projects to exploit this Highlands exemption loophole, which was intended to be a narrow exemption for legitimate redevelopment of existing structures, e.g. conversion of an old industrial building to new commercial or loft residential uses, or historic preservation projects that retain the existing structure. The “reconstruction” exemption was narrow because it’s sole focus and only restriction was on the amount of impervious surface created by the new development. In contrast, reflecting the Act’s multiple objectives, the DEP Highlands rules apply to a broad set of environmental conditions, and set significant restrictions on new development in order to discourage development and protect water resources and preserve the natural landscape and natural resources. But the impervious cover restriction is limited to generation of stormwater runoff, which involves protection of water quality and reduced risks of flooding. In constrast, the proposed new power plant will have huge impacts completely unrelated to the amount of impervious surfaces, such as withdrawal and discharge of millions of gallons of hot water into one of NJ’s finest trout streams, the Musconetcong River. And tons of carbon from fossil fuel natural gas (along with fine particulates and other air pollutants). The Musky is a DEP designated “Category One” (C1) Trout Production (TP) water. DEP regulations protect the river from “any change in existing water quality“, including temperature changes. Trout require cold water and high levels of dissolved oxygen. The power plant will discharge hot water contaminated by various pollutants. The most restrictive water quality standard likely is the temperature criteria. “Stream temperature” means the temperature of a stream outside of a designated heat dissipation area. “Heat dissipation area” means a mixing zone, as may be designated by the Department, into which thermal effluents may be discharged for the purpose of mixing, dispersing, or dissipating such effluents without creating nuisances, hazardous conditions, or violating the provisions of this chapter, the Surface Water Quality Standards. Consideration of “natural conditions” (e.g. lack of shaded canopy along the river) and averaging open the door to abuse. Good consultants can play games that DEP tends to go along with. Temperature criteria at N.J.A.C. 7:9B-1.14(d) apply unless an alternative effluent limitation is approved in accordance with Section 316(a) of the Clean Water Act, 33 U.S.C. 1326(a). “Category one waters” means those waters designated in the tables in N.J.A.C. 7:9B-1.15(c) through (i), for purposes of implementing the antidegradation policies set forth at N.J.A.C. 7:9B- 1.5(d), for protection from measurable changes in water quality based on exceptional ecological significance, exceptional recreational significance, exceptional water supply significance or exceptional fisheries resource(s) to protect their aesthetic value (color, clarity, scenic setting) and ecological integrity (habitat, water quality and biological functions). But the loophole is created by how changes are “measurable”, e.g. 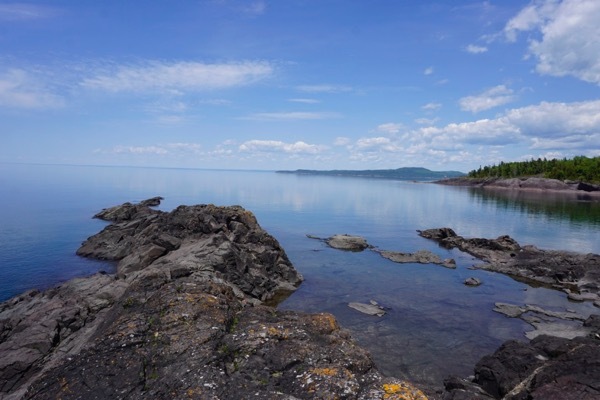 temperature or water quality are measured after a “mixing zone or “heat dissipation area”. The fact that the Murphy DEP folded on the “reconstruction” exemption does not inspire confidence that they will enforce the C1 water quality standards or other regulations that could block the project. Those regulations include the Water Quality Management Planning rules and WQMP for the Upper Raritan and the Water Allocation rules. I could conduct a similar exercise to show loopholes and technical discretion in those rules. And history has shown that those rules also have loopholes and require the exercise of discretion by DEP. The Murphy DEP – like every DEP – has not shown the will the exercise discretion to protect the environment when powerful economic and political forces are involved. Be warned – if I can think of these loopholes, lobbyists and lawyers and consultants for power companies can too. Amazingly, there was no public comment on the DEP Highlands Applicability Determination – what the hell are those Wm Penn Foundation funded folks at the Highlands Coalition doing? Not 6 months into his tenure, Gov. Murphy’s energy, climate and environmental policy agenda he campaigned on is in disarray and the Legislature has seized control. Big Corporate Polluters 2 — New Jersey, its people and its environment 0. This is the score we might have expected were Gov. Chris Christie still in office. On the environmental front, Gov. Murphy has yet to revoke Gov. Christie’s rollback Executive Orders #1 – 4 and Christie appointments still serve as Executive Directors of the Pinelands Commission and Highlands Council. Murphy’s DEP Commissioner Catherine McCabe took 6 months to get confirmed. As we’ve been noting here, McCabe retained many Christie DEP managers and continuity with Christie DEP policies, and has done virtually nothing during her tenuous tenure other than issue press releases and PR stunts that echo Gov. Christie’s initiatives. On energy policy, Senator Sweeney rammed a nuclear bailout bill through the legislature that seriously compromised the Gov.’s commitment to a 100% renewable energy pledge. On climate policy, the Gov.’s policy agenda is limited to rejoining the Regional Greenhouse Gas Initiative (more on that soon) and directing BPU to revise the Christie Energy Master Plan to promote 3,500 MW of off shore wind. In that leadership vacuum, the Pinelands pipeline is seeking DEP permit extensions, DEP decisions on controversial pipelines under Raritan Bay (Williams) and the Delaware watershed (PennEast) are pending, and a proposed new fossil fueled power plant on the banks of NJ’s finest trout stream in the heart of the NJ Highlands has emerged. Given these awful developments, we thought this brief note on the mechanics of exercising Gubernatorial leadership might help. Gov. Murphy probably does not know – and lame NJ environmental groups are certainly not letting him know – that former Gov. Florio, among others, provides stunning parallels and a directly relevant model to address the situation he faces right now. Politically, like Gov. Murphy now faces on pipelines, energy, and climate, upon assuming office in 1990, Florio was faced with stiff environmental and public opposition to garbage incinerators. On reversing prior policy, like Murphy inherited bad policies from Gov. Christie, Florio’s predecessor, the Kean Administration had promoted a pro-incineration policy. To implement that Kean policy, DEP approved 21 County Solid Waste plans and incinerator permits for more than $3 billion of new incineration projects. These were all bond financed and/or approved by DEP and/or BPU. Worse, the legislature had effectively deregulated BPU economic review of incinerator procurement contracts to promote the industry (i.e the “McEnroe” law). In terms of commitments, like Murphy, Florio had made promises to environmental groups – who had endorsed him in the campaign – to develop an aggressive solid waste policy that promoted recycling and discouraged incineration. Florio not only had to reverse the Kean policy and use DEP power to over-rule and embarrass 21 County Freeholder boards, he had to claw back prior DEP planning, permitting and financing approvals – for $3 BILLION in investment. This is actually MORE difficult to do than for Murphy to kill pending fossil infrastructure projects. Here’s how Florio did that – and how Murphy can tackle very similar problems on energy infrastructure and climate policy. On April 6, 1990 (well before Earth Day and in his administration’s “first 100 days”), Gov. Florio issued Executive Order #8, which established a “Emergency Solid Waste Task Force” and laid out a public planning process going forward. PLEASE READ THE WHOLE THING! e. No State agency, commission or organization shall approve the issuance of debt or extend financing to any person or entity for use in planning, designing, acquiring, constructing, operating or maintaining a waste-to-energy resource recovery facility. Gov. 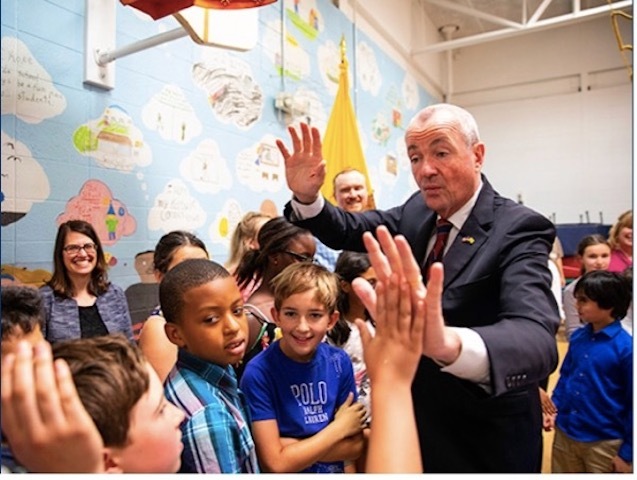 Murphy could issue a similar Executive Order establishing an Emergency Climate Change and Energy Task Force tied to the BPU Energy Master Plan revision process and the DEP Climate mitigation and adaptation planning & regulatory process (including RGGI). The Order could impose a moratorium on any DEP and BPU approvals of any fossil energy infrastructure approvals, such as the Pinelands, PennEast and Williams pipeline and the recently proposed new gas plant in the Highlands. So why aren’t NJ’e environmental groups advocating this aggressive approach? That is more than ironic, as they celebrate Gov. Byrne’s Pinelands legacy. Byrne used Executive power to force the Legislature to pass the Pinelands Act. Similarly, Gov. Kean used Exetuvie power to force passage of the Freshwater Wetlands Act. And Gov. McGreevey created a Highlands Task Force that was used to forge the Highlands Act. The climate crisis if far more serious than the solid waste crisis that Florio inherited. We call on Gov. Murphy to step up and follow the path of his predecessors. The pipeline, called the Cape Atlantic Reliability Project, continues to meet Coastal Zone Management and Freshwater Wetlands Protection Act rules, said the letter from Division of Land Use Regulation Manager Ryan J. Andersen. The Christie DEP approved pipeline never complied with those permit regulations and their biased permit approvals should have been re-opened. The Murphy Administration now owns the Pinelands pipeline. To avoid expiration, South Jersey Gas (SJG) recently quietly requested that the Murphy DEP extend permits issued for the controversial Pinelands pipeline, which was strongly backed by the Christie administration. The extensions are requested for a freshwater wetlands “General Permit” (GP) and an individual Waterfront Development permit (IP). The Christie DEP issued these permits in July 2013. These extension requests are not automatically granted by DEP, but are subject to review. DEP has adequate discretion for denial of the extension requests under DEP rules (e.g. for waterfront development IP extension, see: NJAC 7:7-27.3). DEP denial would force SJG to apply for new permits and begin the permit process all over again, under presumably more aggressive Murphy DEP oversight and purportedly strict climate and energy policies. After SJG benefitted from green lighting numerous regulatory approvals by the Christie administration, the ball is now in the Murphy DEP’s court. How DEP handles these SJG requests will be the first major test for Gov. Murphy’s claim to climate leadership. If the Murphy DEP rubber stamps the SJG extension request, they own this project. The SJG fossil fueled gas pipeline not only “produces” huge quantities of greenhouse gases via methane leaks (methane is a potent GHG: it has 80 – 100 times more warming potential than CO2 in the short run), it also is part of a huge fossil energy infrastructure, which includes re-powering the BL England fossil fueled power plant, which also is a huge emitter off greenhouse gases. To avoid these alleged critical energy infrastructure vulnerabilities –“including the potential for blackouts” (see p. 31) – SJG pressured BPU, DEP and the Pinelands Commission to expedite approvals for the pipeline. BL England made the same arguments about the power plant. For SJG to now request extension to avoid expiration of DEP permits – after 2 Christie DEP extensions of air pollution compliance deadlines and 5 years of construction delays – exposes the lies they told about the critical and pressing nature of the energy infrastructure vulnerability. On that basis alone, DEP should deny the extension requests and force SJG through a new permit review process under the Murphy administration’s “moral imperative” energy infrastructure and climate policy. But there are additional grounds for DEP to deny the extension requests for failure to comply with DEP regulations. 4) the original DEP permits were deficient and fatally flawed. Specifically, neither the applicant SJG nor DEP ever conducted a water quality analysis to demonstrate compliance with NJ surface water quality standards. DEP therefore lacks any factual basis to issue the permit approvals or the water quality certification mandated by law. Regulatory approvals that lack any factual basis in the administrative record are routinely rejected by courts as “arbitrary and capricious”. Courts do no defer to agency expertise when there is no factual basis in the record to support the agency’s decision. The SJG extension request now provides the opportunity to re-litigate these issues with the more receptive Murphy DEP. In addition to the rules governing permit extensions, other DEP regulations specifically include authority to re-open and/or amend or revoke permits if mistakes were made or if material facts were ignored or if material facts have changed. Pipeline activists must put a full court press on Gov. Murphy and Acting DEP Commissioner McCabe and demand that they deny the SJG extension requests and force SJG back through a de novo permit review process. DEP has just 15 days – the clock started ticking on June 8, 2018 – to make a decision so advocates must work very quickly and aggressively. Get out a letter to the Gov., issue a press release, and hold an event at the DEP building. Get a competent lawyer and immediately petition DEP to deny the extension request. This must happen before June 23. On June 8, 2018, South Jersey Gas (SJG) requested that DEP extend freshwater wetlands and waterfront development permits issued by the Christie Administration’s DEP to the controversial Pinelands pipeline. DEP has just 15 days to make a decision under applicable DEP regulations. DEP has adequate authority to deny the SJG request as it does not comply with DEP regulations governing permit extension. Briefly, the project has changed, material facts have changed, applicable regulations have changed, and the underlying permits were defective for failure to conduct required water quality analysis to demonstrate compliance with NJ surface water quality standards and provide a basis to issue the water quality certification required under DEP’s own regulations. Given this “moral imperative” to avoid investments in fossil infrastructure and the biased regulatory process under which the Christie administration issued DEP, BPU and Pinelands Commission approvals, I urge you to conduct legislative oversight of DEP’s review of the SJG extension request. I discuss this issue in more detail in the article below. I appreciate your timely support. 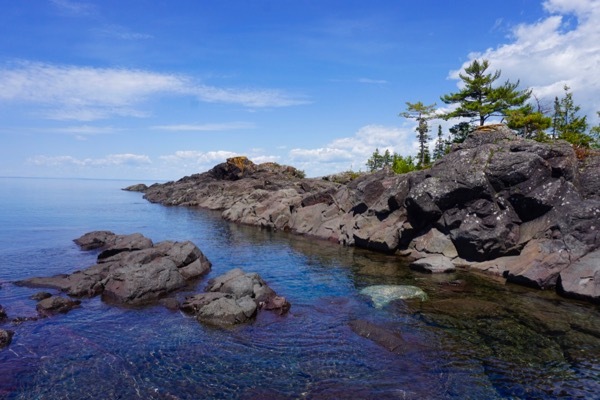 Last week, we celebrated sixty one on the Shores of Lake Superior in the Canadian woods. Before setting out for the morning walk, I like to wait 45 minutes or so after sunrise to let the nocturnals find their day dens – Buoy likes to hunt wild critters, and I don’t want him wandering upon a skunk, raccoon, or large predators. But this morning, we were out at the crack of dawn – just us and the skeeters. As we turned along the trail, we came upon a very large black bear – Buoy was off immediately after him. Bear took off with amazing speed for something that large. Thank goodness he didn’t catch him! To get a sense of place, as I enter a region, I typically visit a University campus and book store to get a book on regional landscape, ecology, or history. In this case, we stopped at University of Michigan at Ann Arbor bookstore and enjoyed Dan Egan’s superb book “The Death and Life of The Great Lakes”. It should be required reading, especially for those interested in “stewardship” or “management” of our natural resources. The chapters on the St. Lawrence Seaway, fisheries, and invasive species are eye opening textbook expose’s of mismanagement, bureaucratic arrogance, technocratic hubris, and economic interests trumping ecosystems.